On April 11, 1913, the picturesque Nevill Ground of Tunbridge Wells was subjected to arson by militant suffragettes. Arunabha Sengupta looks back at the fire that destroyed the pavilion and resulted in significant financial loss. March 6, 1993. Martin Crowe was at the end of his tether, battling discontent in team, injuries and ailment, and severe criticism in the press. He stormed in to answer questions in a press conference, and started off by asking several. And one of them was about as direct and bold as cricket ever gets. Arunabha Sengupta recalls the fateful day at Wellington. February 28, 1981.The Test match to be played between West Indies and England at Georgetown, Guyana, was cancelled because the visiting team had been reinforced by the arrival of Robin Jackman, a bowler with South African connections. Arunabha Sengupta recalls one of the many apartheid related controversies to take place in cricket. George Cecil Ives, born October 1, 1867, was a poet, writer and penal reformer … fate also made him the first ever First-Class cricketer to admit to homosexuality. Abhishek Mukherjee documents the curiously interesting character. May 22, 2003. 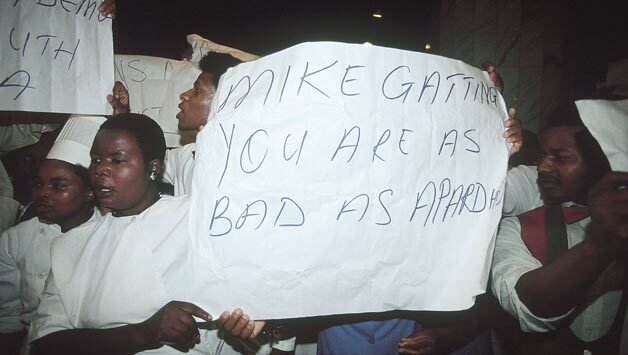 The England-Zimbabwe Test match at Lord’s got underway amidst controversy and protests.Arunabha Sengupta looks back at the day when ECB feared severe demonstrations against the Mugabe regime as the hosts took on the cricket side from a country torn apart by civil and political unrest.